Our trip to Beaver Creek, Colorado last winter was a great success! Even though our planes were delayed and cancelled on our departure date and our son had a snowboarding accident on the first day of skiing, we had a wonderful vacation. As always, the first day was dedicated to grocery shopping, getting to know the village, organizing luggage and clothing, getting the kids to calm down about their excitement of being in a place with snow and having the ski equipment fitted to each person. We are very grateful to our travel advisor, Beatriz Martinez from Ski a la Carte, that she suggested Venture Sports delivery service. They were on time and very patient with our group of eight, visited us at our apartment and did all the fittings in the comfort of our living room. The two bedroom apartment that we rented along with the Fuertes family in Centennial Lodge was amazing! Big kitchen, porch with a view, cozy chimney, two large bedrooms, three full bathrooms, sofa bed, ski storage, daily cleaning service, complimentary breakfast and walking distance to the slopes. My parents took me skiing for the first time when I was 9 years old to Sugarbush, Vermont and I have loved the sport ever since. The Beaver Creek Mountain was well groomed and not crowded at all. It was fun for the whole family. Our five-year old daughter is a natural skier and fearless little girl. She went down the mountain like a pro! Very proud of her. Most of the nights we stayed in and my husband and I cooked for the whole crew. We made risotto, veal saltimbocca, mustard chicken, salads, roasted vegetables, roasted garlic mashed potatoes, tortilla española, arancini, pasta with shrimp, new york steaks and jasmine rice with vegetables among others. Sometimes for lunch, we would go back to the apartment for left overs or pizza. Other days, we went to 8100 Bar at the Park Hyatt Hotel where I tried a delicious selection of cheeses. My favorites were the Sno Drop , with a creamy texture and mild taste and the Bleu cheese paired with a homemade strawberry jam, a blend of flavors that explode in your mouth. I also tried the mushroom soup which was delicious and mini-pizzas with goat cheese, chicken and bbq sauce. The kids had beef sliders with homemade french fries, homemade ketchup and garlic mayo, Yummy! The kids also loved making smores at the fire pit in front of the Hyatt where everyday at 4 pm they had a complimentary selection of marshmallows, chocolates and graham crackers for everyone to enjoy. One night, we had dinner at Beaver Creek Chophouse. I ordered shrimp with polenta as the main dish but what I liked the most was my appetizer; pommes frites with white truffle oil and parsley. The combination of flavors was amazing!!! So earthy and aromatic. The chocolate cake was delicious too. Also,the kids had a blast with the in-house illusionist. Another highlight of the vacation was having dinner at Beano’s Cabin. It is a 15 minute freezing cold ride to get there in their big sleigh pulled by a huge snow plow half way up the mountain, but once you get there you feel right at home. It has such a cozy and warm atmosphere with live 70’s american music (Cat Stevens, Carly Simon, James Taylor, etc.). We made reservations for an early dinner (5:30pm) because the later seating doubles in price. Our whole experience was delightful. In the menu selection they had buffalo, elk, pheasant, scallops, blue nose bass, antelope, sweet potato gnocchi, saffron mashed potatoes, so it was not your traditional selection in a restaurant menu. Of course, for the kids they had fruit salad, beef skewers, pizza, chicken nuggets, mashed potatoes and brownie a la mode. I loved the open kitchen, chimney and the service was superb. Another night, the Barbosa’s and Lockwood’s where kind enough to invite us over for dinner and had a great time playing cards with the “girls”. In addition, another evening, the Cortés family delighted us with their company at our apartment and had a blast watching America’s Funniest Videos with the kids. Blue Moose Pizza was one of the places we went for lunch. The Chupacabra pizza, with mushrooms, goat cheese, mozzarella , red onions and white truffle oil was out of this world. We also enjoyed the traditional cheese and pepperoni pizza. Regarding “extracurricular” activities, we went snowmobile riding with Nova Guides. Our tour was at 8 am and it was great because our group was the only one there. It was a chance for our family to enjoy nature and the views of the Vail Mountain Back Bowls were breathtaking. Our guide Chacha, took us from 8,000 to 10,500 feet above sea level. We took a break at a community log cabin in the middle of the national park and had hot chocolate and apple spiced drinks. That afternoon we went to Vail to the Adventure Ridge Park with the Sánchez Family where we went tubing with the kids. This was so much fun! I though this park was only for the kids, but the adults get a kick out of it too! Thankfully, our return to Puerto Rico was smooth and simple. Happy to go home with wonderful new memories and new hopes for 2010. Ever since we arrived back home a few months ago, I have not been able to get enough of this recipe and everyone that tries it becomes a fan. 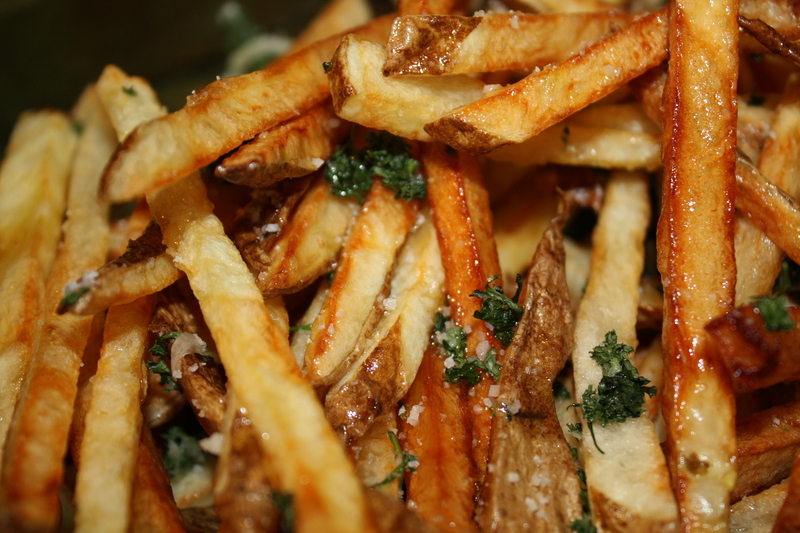 There’s nothing like homemade french fries and the white truffle oil makes them absolutely unsurpassable. 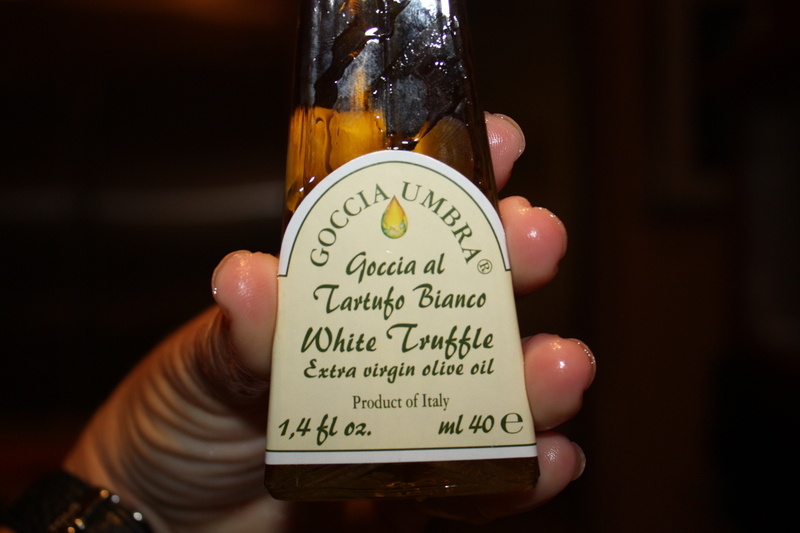 White truffle oil is expensive but worth it. 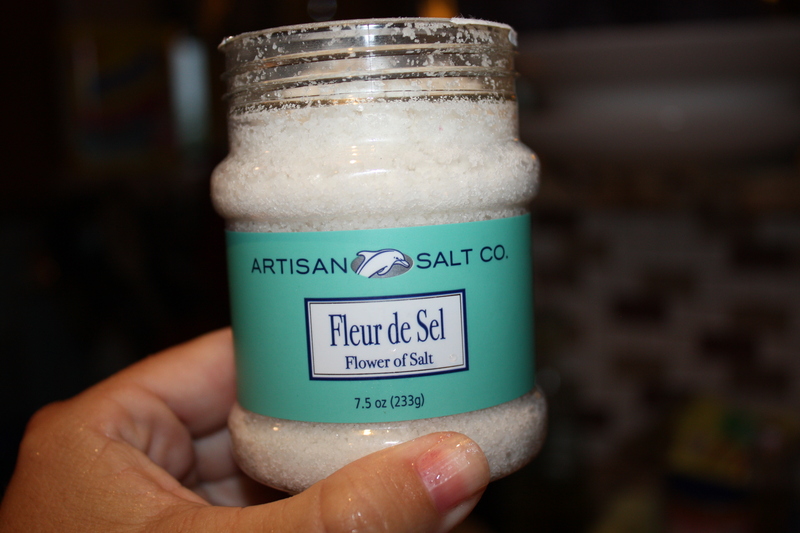 I also use it to drizzle a small quantity over my white bean cream soup and salads. 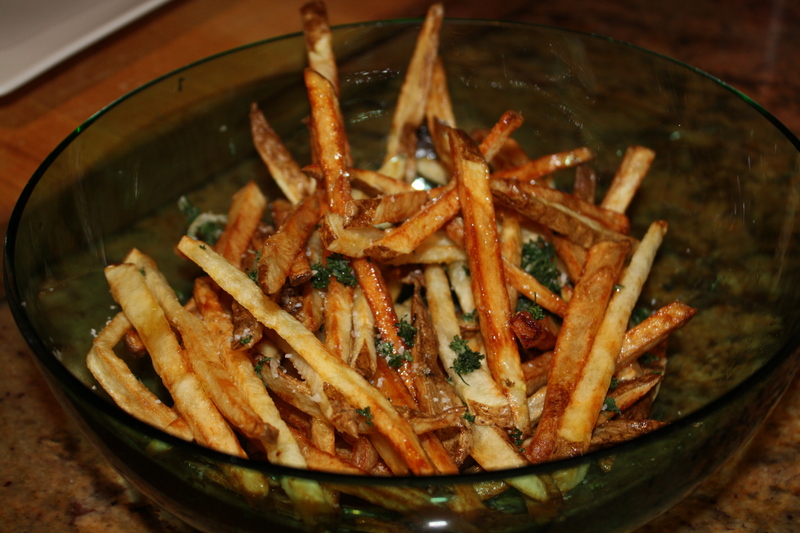 So, here is my version of Natural French Fries with White Truffle Oil. Enjoy! 1. 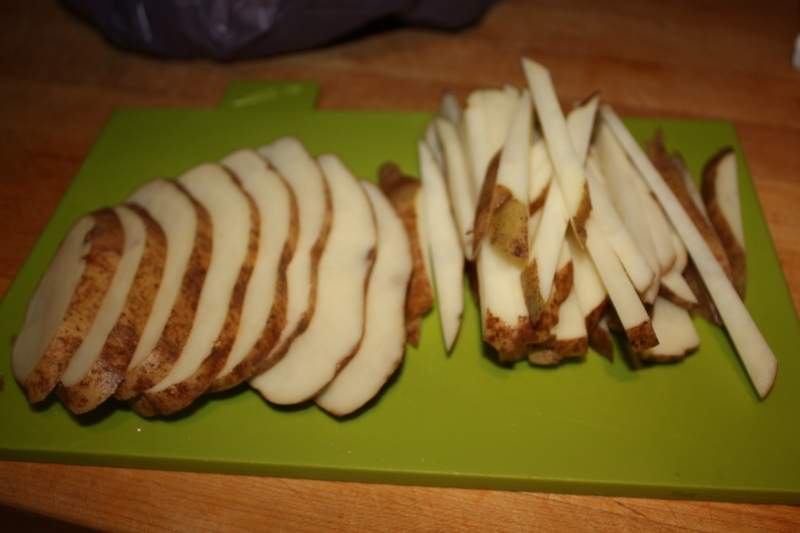 Wash potatoes and cut lengthwise. Place in a bowl with salt and water. 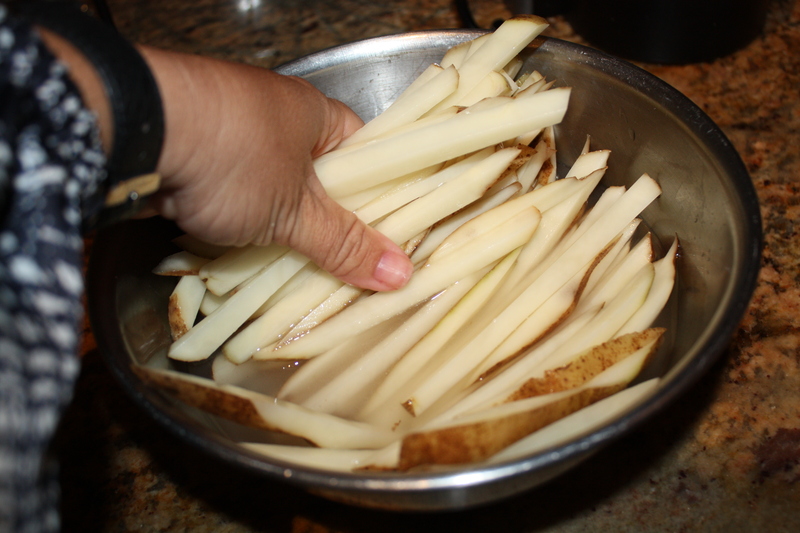 This will take some of the starch out so that they don’t stick too much during frying and become crispier. 2. 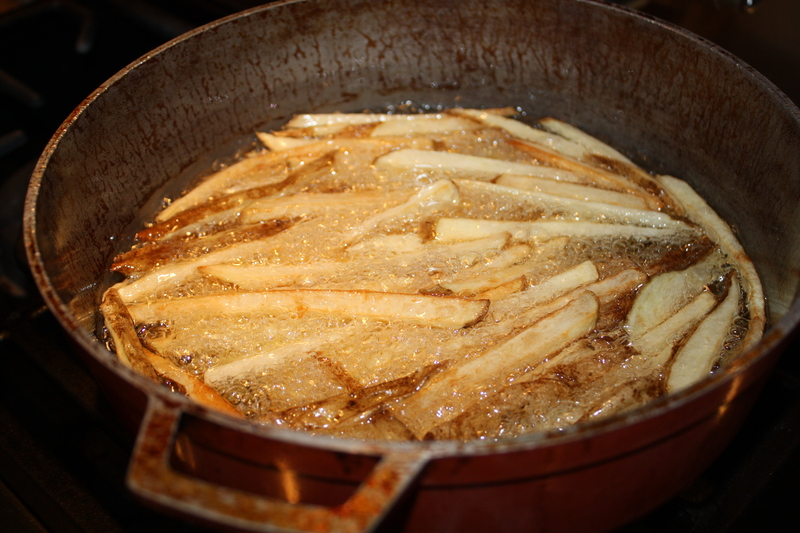 Pour canola or peanut oil in medium-large heavy bottom saucepan (enough to cover potato sticks). Heat in med-hi. 3. 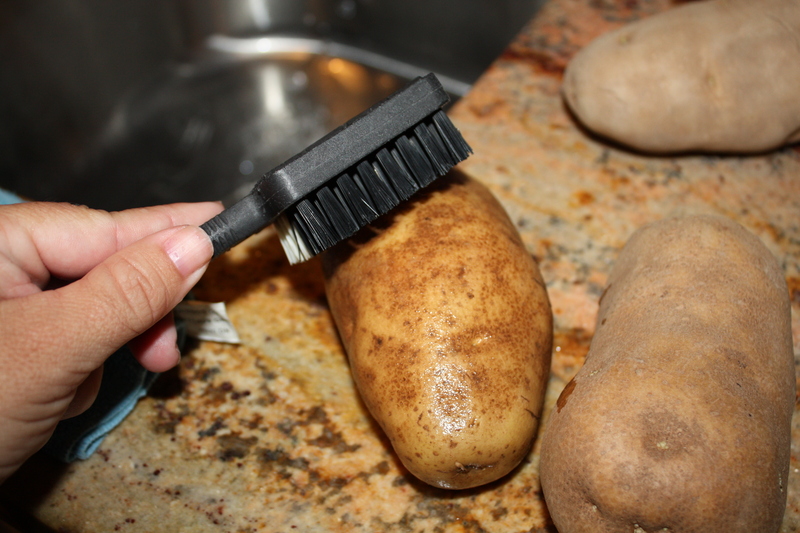 Once the oil is very hot, drain potatoes, tap them dry with paper towel and begin to fry. 4. 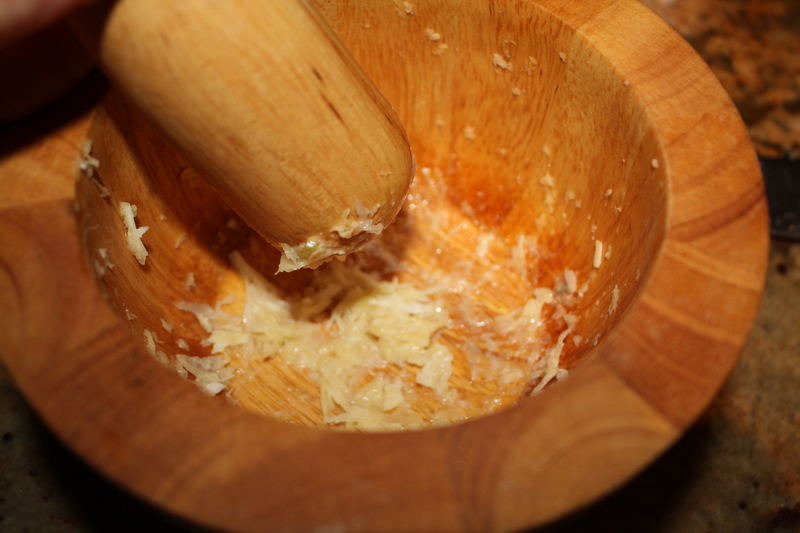 Meanwhile, in a mortar and pestle, mash garlic with dash of salt. 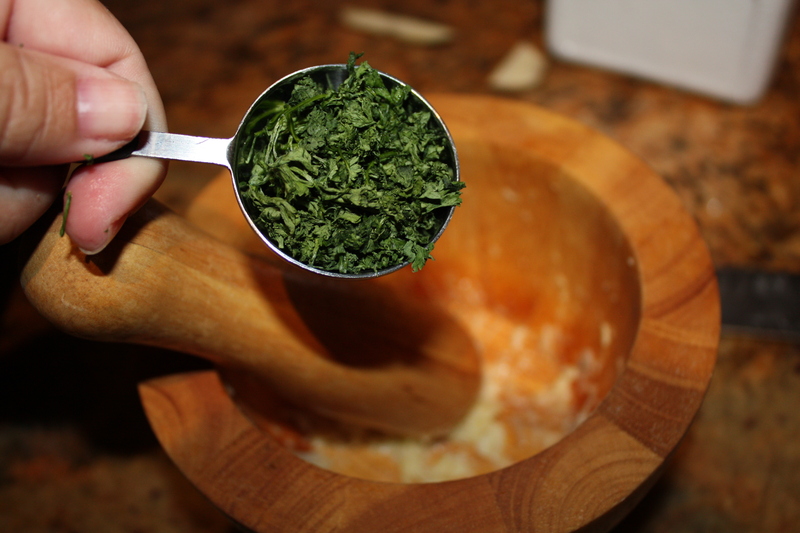 Add finely chopped parsley and mix with a spoon. 5. 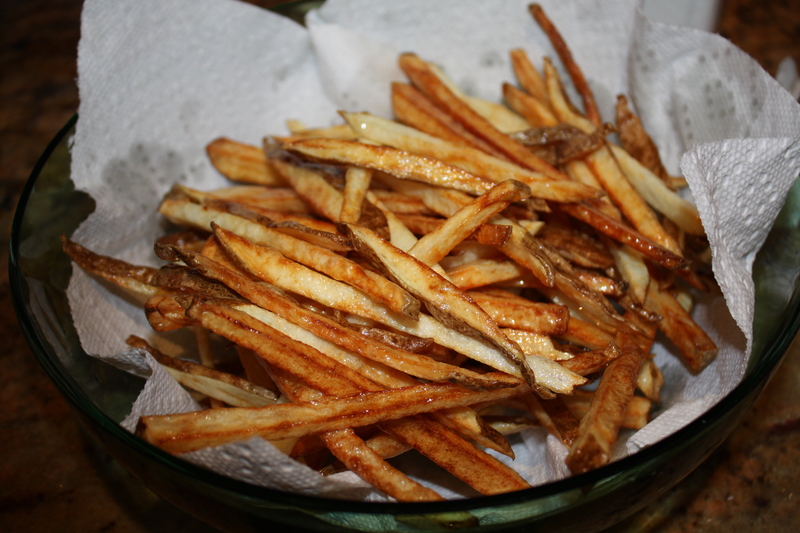 Once french fries are golden brown remove from pan and drain excess oil by placing them in paper towel for a few minutes. 6. 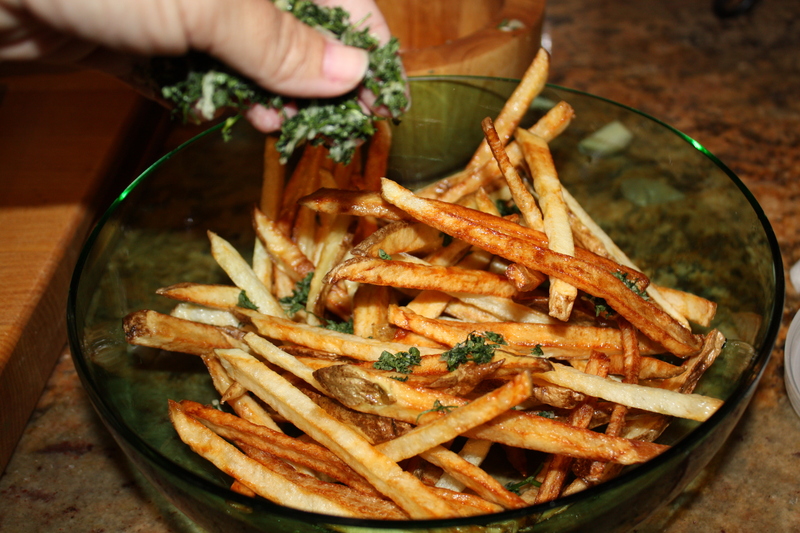 Transfer french fries to a bowl or large plate sprinkle evenly with parsley-garlic mixture, salt and white truffle oil. Serve immediately.